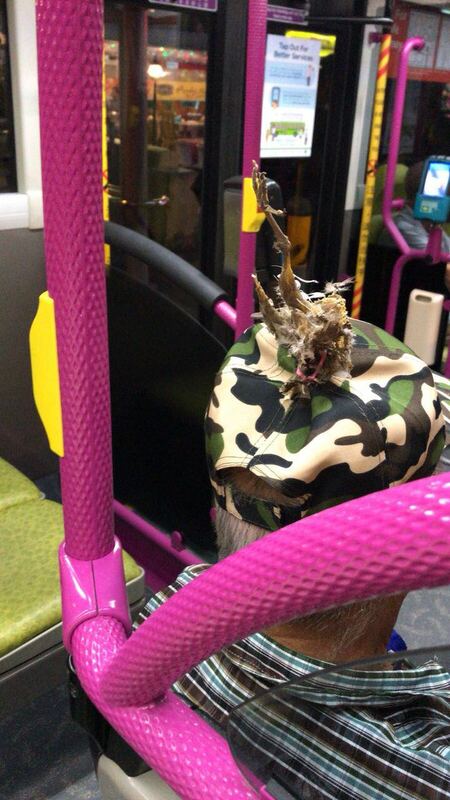 Singapore – A man was spotted on the bus with a bird tied to his cap using mafia string. Is this an act of an animal sadistic or a sentimental guy who can’t bear to part with his dead bird? Perhaps, setting a fashion trend (Probably more of disaster). A Netizen commented, “This guy is probably sick in his mind”. Share and comment if you agree on that!